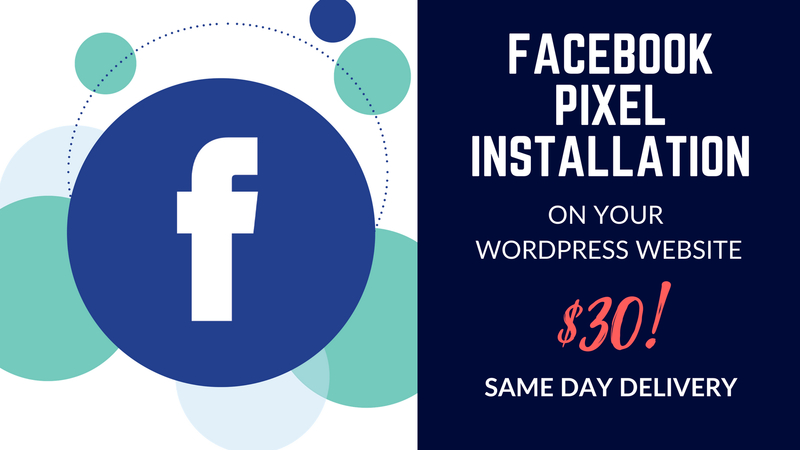 I will install your Facebook Pixel tracking code on your website. This will then allow you to start tracking visitors for your Facebook ad account. Once setup this will then be tested by me to ensure the pixel is firing correctly when someone visits your page..
After purchasing this hourly we will jump on a call so I can guide you through the process of sending me the Facebook Pixel tracking code. I will then install this across your website. You will be required to give me access to your website so I can install the code site-wide for you. Delivery of this hourly will be made on the same day as long as you are available for me to communicate with upon purchase. If you have any questions, please do not hesitate to contact me and I will be happy to answer any/all of your questions! - You will need to send me the Facebook Pixel code for your Facebook Ad account I will guide you through this process on a screenshare.